This Tudor Black Bay Harrods Special Edition reference 79230G is in excellent worn condition and only has superficial hairlines and scratches. 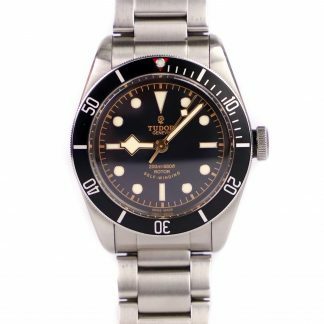 The Tudor Heritage Black Bay Harrods Special Edition reference 79230G is part of Tudor’s Black Bay range, and is built on the Tudor Black Bay 79230. 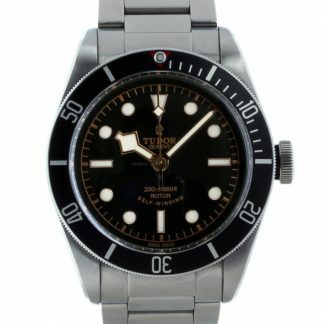 The Harrods Special Edition is at its core the same watch as the standard blue, red, and black Black Bay models, but seeing that it is a Special edition, it has some visual differences. 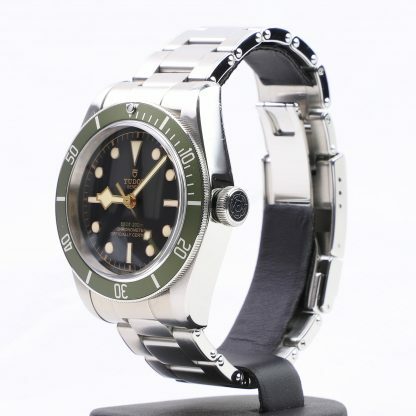 The watch is only sold at the famous Harrods department store, and the watch is numbered, making it a future collector’s piece. 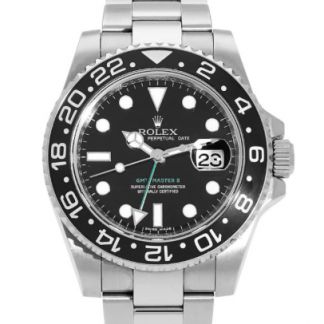 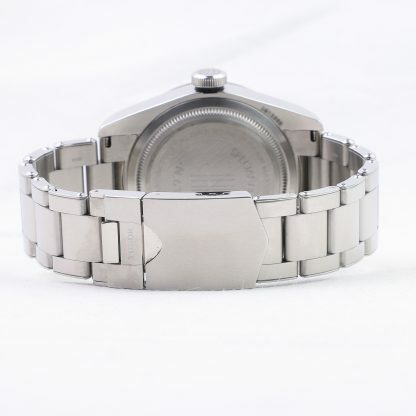 Since the watch is only sold at Harrods, there will be considerably fewer examples of the watch on the market compared to the standard 79230, and this makes this watch even more sought-after and hard-to-get. 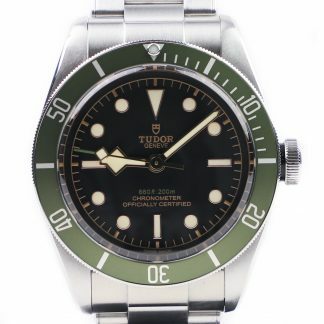 As for the visual differences, the Harrods Special Edition has feet first displayed on the dial rather than meters first to show the Britishness of Harrods. This printing is also made in green, just like the signature green color of the department store. 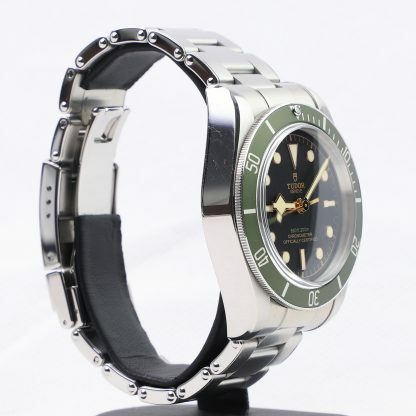 The most notable difference is the striking green bezel. 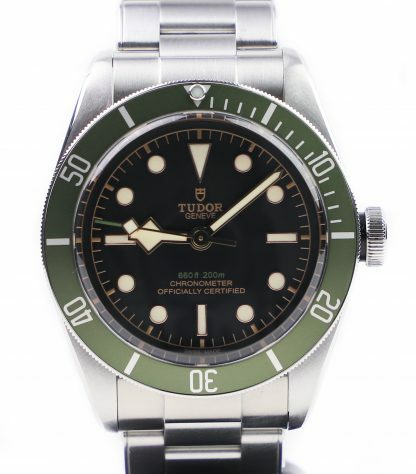 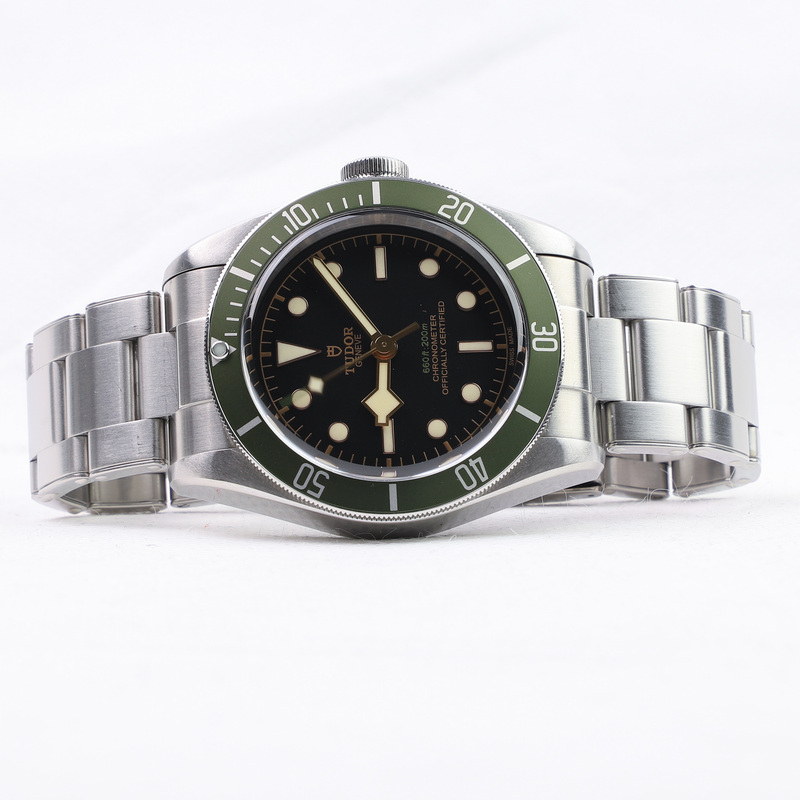 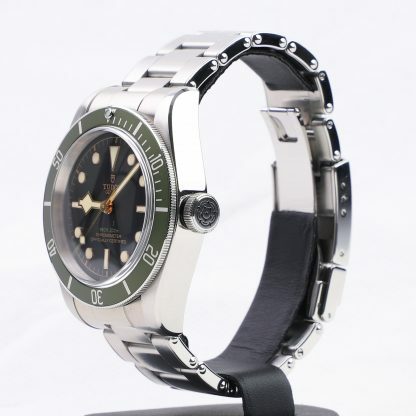 This is the only Tudor to feature a green bezel, and it gives the watch a completely new look. The tip of the seconds hand has also been painted in the Harrods green color. 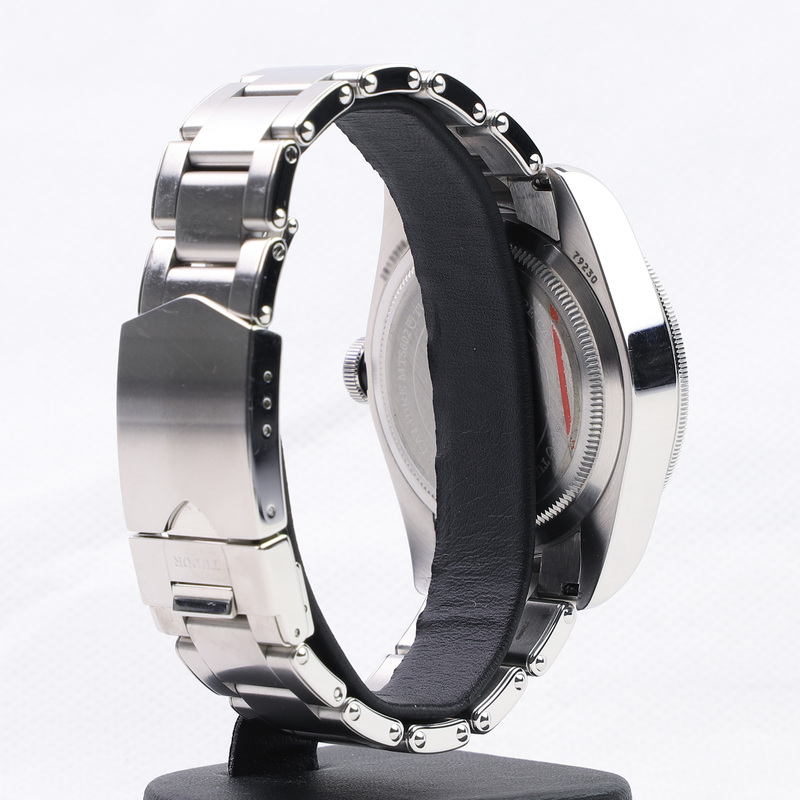 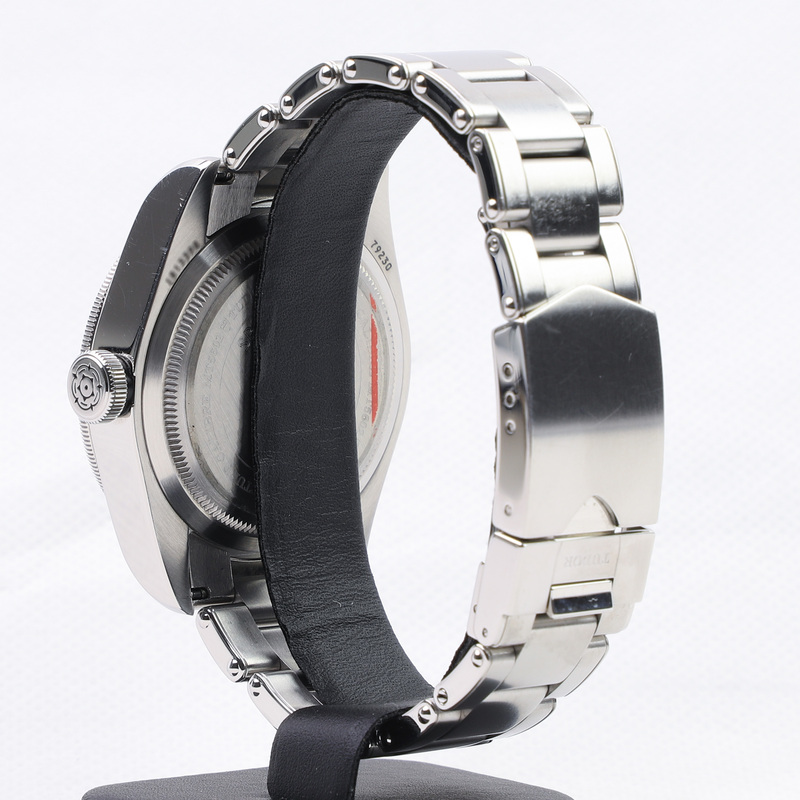 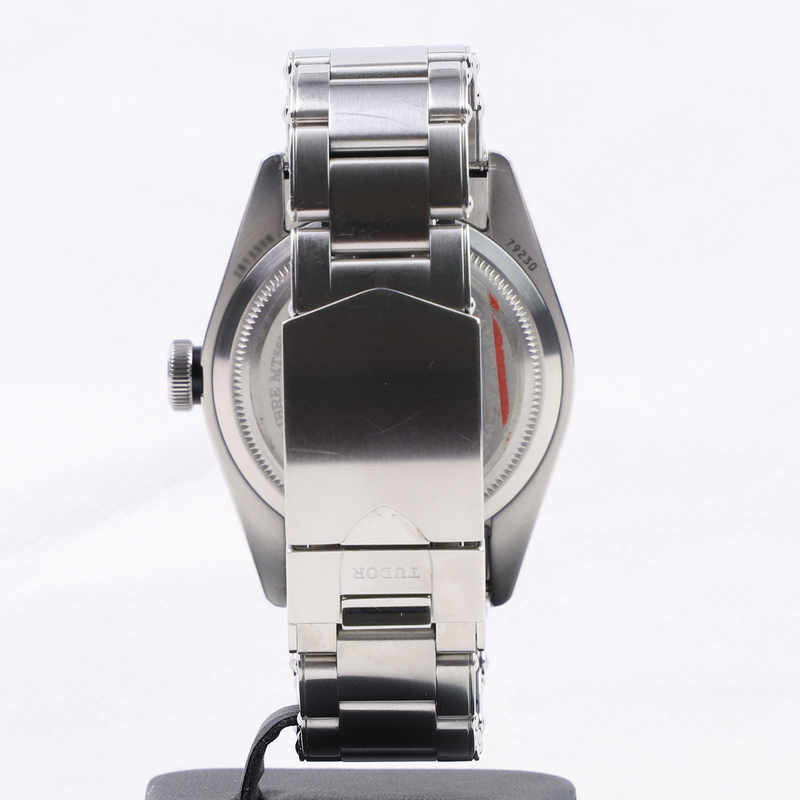 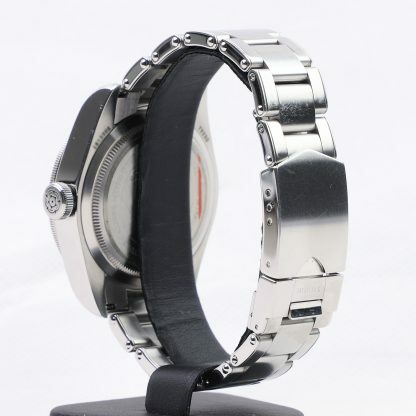 On the caseback is a special edition text engraved, with the watch number engraved. There’s also the Harrods “H” logo engraved. 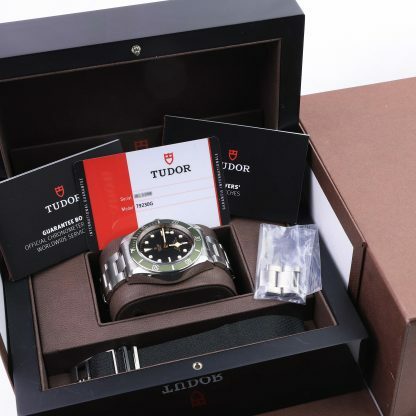 Read the whole article about the Tudor Black Bay Harrods Special Edition.